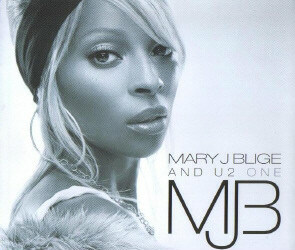 Undisputed Queen of contemporary soul music and three-time Grammy winner Mary J Blige teams up with U2 for the release of the stunning version of U2 classic 'One'. The two giants of popular music first performed the song together at a Hurricane Katrina benefit and recently reprised the performance at the 2006 Grammy Awards. 'One' is taken from Mary's hugely successful new album 'The Breakthrough'.